Kindergarten students collect, cancel and sort the mail before delivering it throughout the school building. 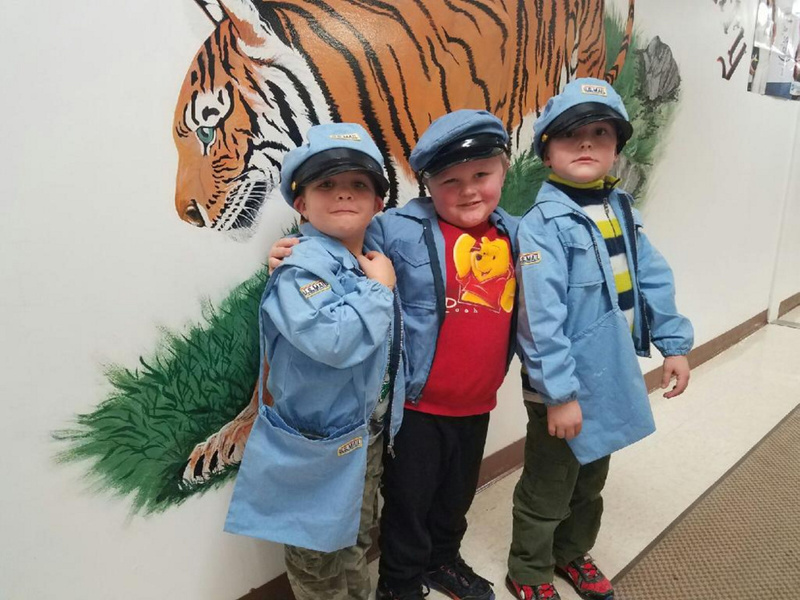 JACKMAN — Each December kindergarten students open the Kinder Express Post Office. Students and teachers from all over the building come to the post office to buy stamps and mail cards and letters. Each day the kindergarten students collect, cancel and sort the mail before delivering it throughout the school building. After the post office is closed for the season, The students count the stamp proceeds and decides what cause they will donate the money to.